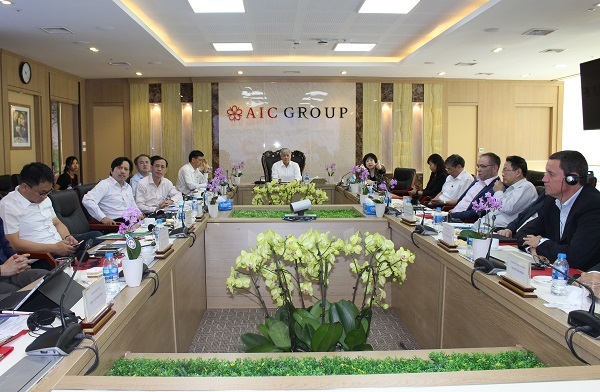 In the morning of September 20, AIC organized a seminar to introduce synchronous solutions to develop a model of intelligent management and administration system for the Committee for Ethnic Minority Affairs (AIC). CEM). Mr. Do Van Chien, Chairman of CEMA and Ms. Nguyen Thi Thanh Nhan, Chairman of BOM, General Director of AIC co-chaired the workshop. Attending the seminar were Deputy Minister, Vice Chairman of CEMA Phan Van Hung, leaders of some departments and units of CEMA and experts and representatives of some international technology groups. At the workshop, experts from AIC Company presented the overall solutions for building an e-government, smart national system, experiences of some countries and some solutions for building the Government. some ministries, committees, branches of Vietnam. In addition, AIC has introduced a comprehensive solution to build intelligent administration model for CEMA. The construction of the system aims to create a strong change and improve the effectiveness of management and administration; supervise all activities of the ethnic work, provide accurate and timely guidance and improve the effectiveness of the connection between the affected people; Ethnic Minority People's Committees (DTTS) have information channels linking with government at all levels, grasping state policies, learning opportunities, job seeking and economic development. . The proposal has 12 synchronized solutions including basic steps and specific roadmap to build intelligent administration model for CEMA. Information systems are built with multiple layers of information, contributing to the development of online, real-time reports with multi-dimensional analysis from a variety of data formats, meeting the needs of many. different objects. Speaking at the seminar, the Minister, Chairman Do Van Chien highly appreciated the proposal of AIC Company, the solution has demonstrated the study and grasp some specific elements of the work of people. family. Minister and Chairman stressed that the Government has set up the National Committee for E-Government on the basis of strengthening the National Committee for Information Technology, chaired by the Prime Minister. . Therefore, the establishment of a CEMA model is very necessary and has a legal basis, consistent with the direction of the Government. The CAC system has a number of challenges, such as investment capital, operational management, system administration and especially the integration of data from central to local levels. Based on the content proposed by AIC Company and experts, Minister Do Van Chien further analyzes some of the implications for the development of the system, such as the unreimbursed national information infrastructure In addition, some specific data of the Ethnic Minority Information Industry has the element of confidential information, so there should be clear mechanisms and regulations. With the goal of supporting ethnic minority people, Minister and Chairman Do Van Chien suggested to study the development of online systems, support for writing and voice of ethnic minority people in order to increase direct assistance. for the people. 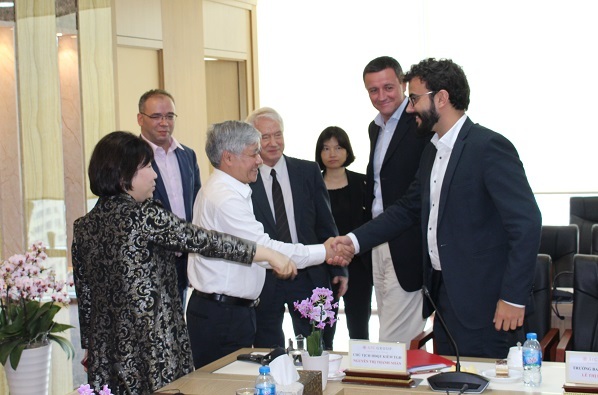 CEMA will carry out technical workshops to thoroughly study the proposed contents, ideas and jointly seek investment capital to build the system.